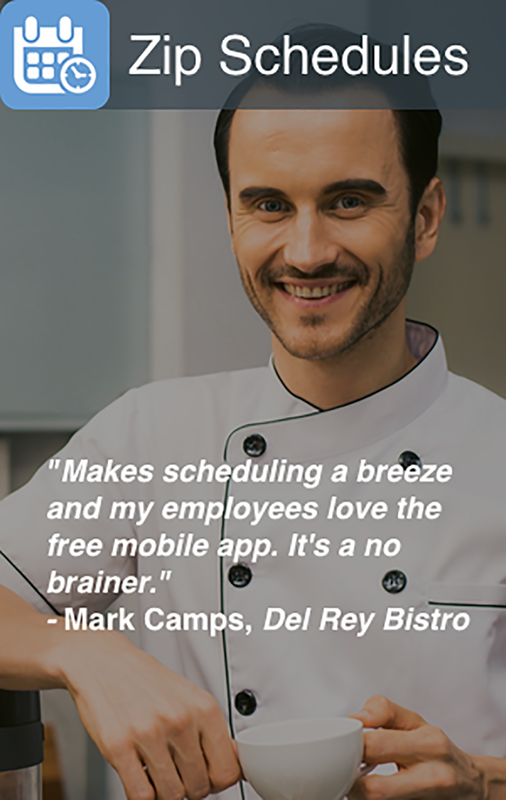 We are excited about helping you accelerate your business with our employee scheduling app, task management app, and time clocking app - just to name a few. Below you will find five of our business management apps available on iPhone and Android for small to medium businesses. They work great on their own but even better together! 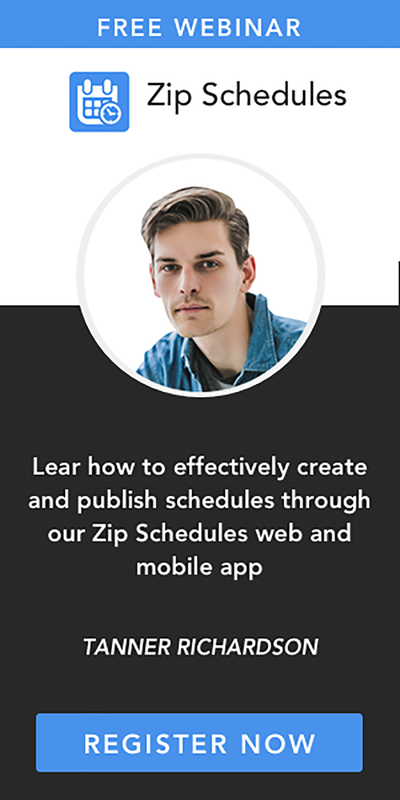 Zip Schedules is a business app that simplifies the way you create and manage employee scheduling. With this unique app, it’s easy for everyone to stay in the know with clear, manageable, and easy to access schedules.